Save time by importing your AWS architecture directly into Lucidchart. To get started, just enter your AWS credentials or run a bash script. Imported data will include the appropriate shape type, name, and relationship between components. 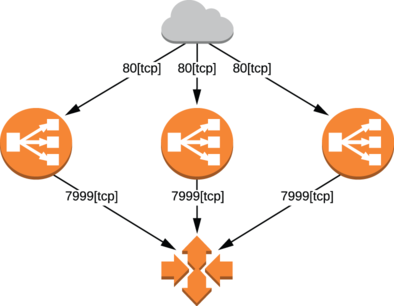 Once you’ve imported your architecture, Lucidchart will automatically generate a completed AWS network diagram. If you’d prefer to build your network manually, you can click any imported node to reveal its components and add any of them to your diagram. Moving from on-prem services to the cloud can be challenging, particularly as your AWS infrastructure evolves to become more complex. 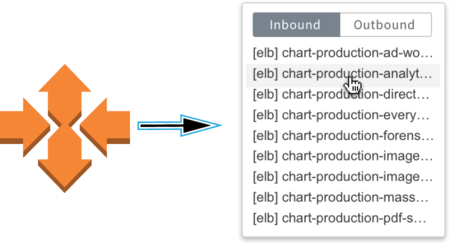 Explore your architecture with Lucidchart’s AWS import tool to keep track of every connection. Worried about AWS PCI compliance? Lucidchart lets you plot out the relevant portions of your AWS environment in a matter of minutes. When things change, update the diagram with just a few clicks. 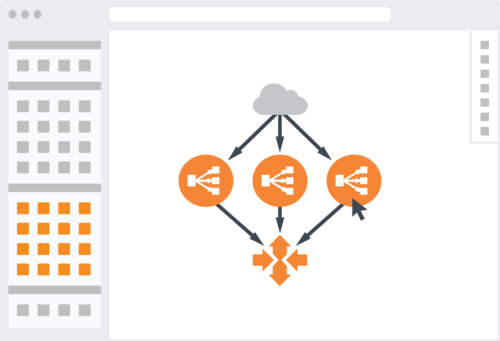 Lucidchart’s intuitive features bring you a diagramming tool that’s easy from the start. If you use Jira Software, Confluence, G Suite, Slack, or Hipchat, you’re in luck—Lucidchart offers deep integrations with each at no extra cost to users. You can even import and export files to and from Visio. 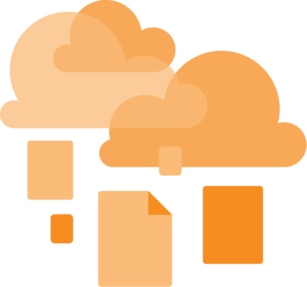 After your cloud computing architecture diagram is finished, see what else Lucidchart has to offer. It's perfect for making UML diagrams, process flows, wireframes, and much more. Start from scratch or browse our professional templates. Whether you’re onboarding a new specialist or briefing an executive, Lucidchart lets you present essential information without losing anybody. You can even convert diagrams into slide decks with presentation mode.